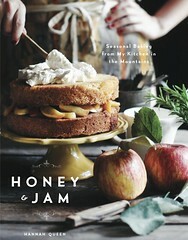 honey & jam | recipes + photos: Giveaway!! I was inspired by Hillary of The Gleam of Rose Tea to do my own giveaway! 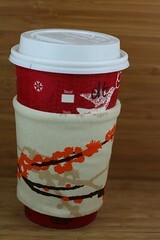 I'm giving away one of my reusable cup sleeves, your choice, from my etsy shop. These things are perfect to take with you to your local coffee shop, or to give as a gift. To enter, just leave me a comment telling if you prefer coffee or tea, and why! If you'd like to enter twice, just post a link to this giveaway on your blog, and leave another comment about it. You have until Thursday evening at 11:00pm est. I'll pick a winner through random.org and announce a winner Friday morning! im glad i could inspire you! Let's see... I love both coffee and tea, but I think I prefer tea, especially just about any flavor of Twinings tea -yum! Aww those are so sweet. Thanks for letting me know about your giveaway. I prefer coffee over tea. I thought drinking coffee was cool when I was a tween (with lots of sugar and cream). So I just sort of grew up with it. Am I disqualified? I like hot chocolate. I have never tried coffee because I don't want to become reliant upon it. I've tried to like tea, but I just don't. I've tried different types and different additions. Nope! So give me a mug of chocolate and whipped cream any day! Hi! 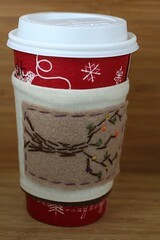 These are very cute-in Maine in winter hot beverages are a must! Can I tell ya a secret? I have never even tried coffee or tea in my life...coffee smells yummy but I am a hot chocolate type of gal. Kinda crazy considering I will be 43 tomorrow, but I didn't try steak till my mid 20's! Have a great day, and stop by my blog too, I am having a giveaway! I adore tea. My mom makes it when we're both feeling what we call "tea-ish" and it'll always remind me of her. I adore it because my favorites are herbal and they don't have the caffeine that I can't seem to handle without getting a little spazzy, hehe. Having never been a big fan of the taste of coffee I've probably had it 3 times in my life, but the caffeine thing really helps be decide. And then there's always the little girl adoration of tea/dressing up when you're little... or grown up. :) Tea comes in sooooo many different flavors, too! The doctor up coffee, but it's still coffee. Tea is the thing of an age - what you see the English drinking in movies while they sit about in the beautiful dresses. It's part of our nation's history - the Boston tea party and part of the world's lingo since we've taken to saying, "All the tea in China." Yay for starting businesses, Hannah! That was really fun - you rock! Coffee!!! with cream. Nothing better to go with a sweet baked treat. Yum. Thanks for the chance. I'd love to be entered! I prefer tea. :) Thanks for letting me know. as much as i love tea, i have to say that i BY FAR prefer coffee. call me a product of my generation--or a product of the starbucks generation; or maybe it's because coffee was the "forbidden fruit" growing up, because children couldn't drink it, only the "old people" (adults of all ages) at church on sunday mornings (that's my earliest memories of coffee); or maybe it's even because i remember walking through the mall as a child and smelling this GLORIOUSLY delicious smell of something called coffee (something which, again, i wasn't allowed to drink because i was a kid); but whatever the reason is, i just love coffee. my favorite coffee, specifically, are mint mochas. nothing smells or tastes more like Christmas to me than mint mochas. YUM! I have one running this week on my blog, too. The prize is a signed copy of The Skousen Book of More Amazing Mormon World Records by Paul B. Skousen. Great book! And he's willing to send anywhere in the world! It depends on the time of day. In the morning, first thing, I prefer coffee. In the afternoons, definitely the lighter taste of tea. :-) Thanks for the giveaway! Although I like both coffee and tea, I much prefer tea. When I drink tea, I feel healthier than when I drink coffee. Tea comes in so many different flavors...so many to choose from & try. And some teas I can drink without milk or cream. Always have to have milk or cream in the coffee. Also because decafinated tea tastes just like cafinated tea. Decaf coffee is different than regular coffee. TEA! I like the occasional decaf latte, but there is no beverage more comforting and relaxing than a steaming mug of tea. I drink several cups a day... current favorites include Lady Grey (a lighter version of Earl Grey), and Celestial Seasonings' Cinnamon Apple Spice. My all-time favorite, though, is jasmine green tea--any brand will do. good for you that you are trying to wait on God to find out what you are supposed to be doing. i am homeschooling my 17 year old son, jesse. i really like both but i love coffee in the mornings and tea,sleepy time at night. 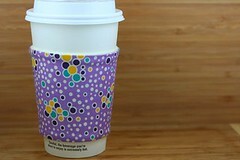 this idea for a reusable sleeve is ingenuis. i love it. and i love etsy. i bought christmas gifts that were loved from there. i added a picture of your giveaway on my sidebar with a link to your site. ps i love your photo of fruit and moss. and the carmel banana cake is worth a try. I'd love to be entered! Thank you for thinking of us! i love tea! there are so many varieties...there's one for all occasions - if you're sleepy, if you're sick, if you need to stay up and cram...it's wonderful! Oh, how fun! I jumped over when I read you post on my blog. 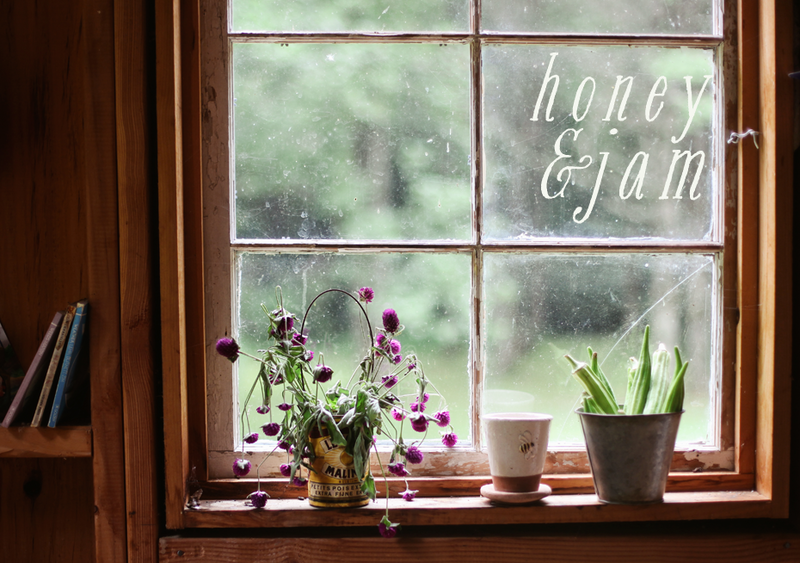 I LOVE tea...because anything that goes with honey is o.k. with me. I like Tea! My favorite kind is Kiwi Pear. I like both, but tea is more my thing. Although when I go out to a shop to get a hot drink, I usually get coffee because it's more of a treat for me. Tea is something I drink at work or at home. Tea! When I was a poor college student, I could always get hot water free in the lounge. I would buy boxes of Celestial Seasonings Morning Thunder and carry the teabags in my backback whenever I needed a jolt - that stuff was strong, I wonder if they even make it anymore? I prefer tea over coffee. Although, I've actually never tried coffee, but I don't particularly care for the smell of coffee. My favorite kind of tea varies. Right now it's either peppermint or the Red Rose brand black pekoe. 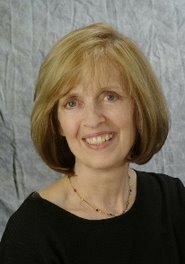 i've been following your blog for while now and just thought i'd make myself known! lol! tea is most definetly my favorite...although i had a sip of my dad's trade/wilco coffee when i was nine or ten...i think i thought it was good! funny, huh? Hot chocolate! I know that wasn't a choice, but I'm not a huge fan of coffee or tea. But I agree with a lot of other commenters....there's something nice about "tea time." I would like to enter the giveaway...is that okay even though I don't know you? By the way, you have some great looking food items on here. I prefer coffee!! It wakes me up!! I would love to be entered! I also posted about this giveaway on my blog. Tea. I'm not English, but I do enjoy a good cup of tea...especially before bed. It calms me right down. I'm so sorry I missed the deadline for this!! :( Lovely handiwork, Hannah! I like both coffee and tea, but lately tea has been a favorite of mine!